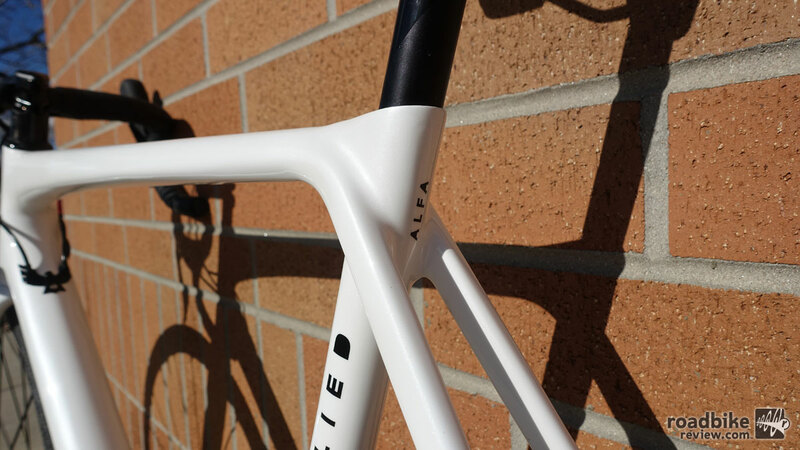 The Allied Cycle Works Alfa All-Road cuts an attractive silhouette, with clean lines and subdued graphics. 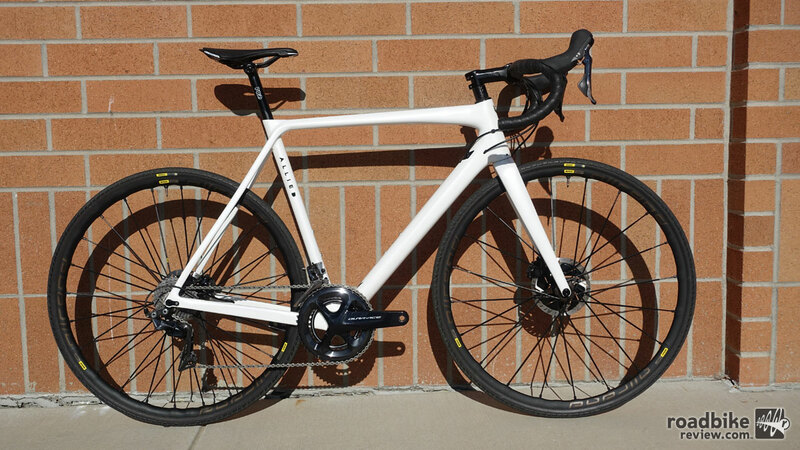 A made-in-America carbon all-road bike capable of expanding your riding horizons. But if you’re in search of a stable, all-day gravel machine, look elsewhere. Starting in early 2017, Allied Cycle Works launched itself into the cycling world with its Alfa road bike. With clean, carbon lines and flashy paint, it made an impression and quickly garnered praise from the cycling media. Editors and mechanics are always happy to see a threaded bottom bracket. Based in Little Rock, Arkansas, all of Allied’s bicycles are made in the United States. Starting with raw materials, Allied controls each step of the manufacturing process, all the way through its in-house paint and assembly. Along the way Allied uses its own series of carbon plies, cutting patterns, molds, and layups. Over the course of 12 days, the team at Allied can begin with sheets of carbon and finish with a complete bicycle ready for action. For more on Allied’s manufacturing, check out this video. 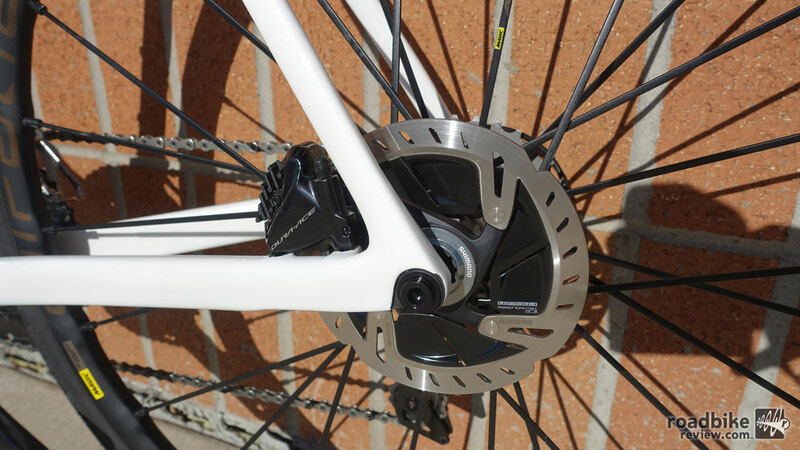 As it says on the Allied website, the Alfa All-Road is “the multi-surface, disc brake brother of the Alfa.” With clearance for up to 38mm tires, doesn’t that make it a gravel bike? Not according to its designer. 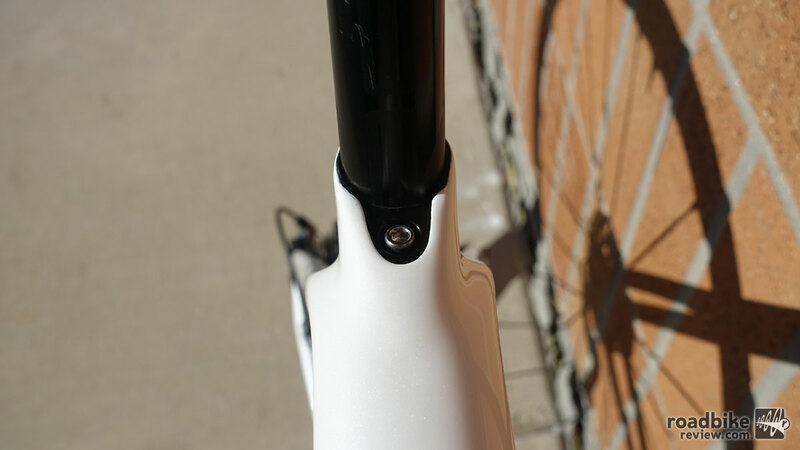 The seatpost pinch bolt is tucked nicely into the top of the top tube. So just what is All-Road? So what is the difference between all-road and gravel? Is there one? Well after several months on the Alfa, I have to say that there is most certainly a difference between Allied’s take on all-road and what most of the cycling industry is doing with their gravel machines. The Alfa All-Road also leads me to believe that cyclists can expect to see even more segmentation in this fun, weird world of mixed surface, drop bar riding. So, what is an all-road bike? It’s all about the point of origin. In my opinion, all-road bicycles prioritize the road bike experience, the snappy handling and responsive nature of race bikes. While capable of handling dirt and gravel roads, they will keep you on your toes more than a bike labeled gravel or adventure. If your mix of tarmac to dirt is 50/50 or perhaps even more biased to pavement, an all-road bike is for you. If you stick primarily to dirt and even hit up local singletrack, a gravel or adventure bike will probably suit your needs better. 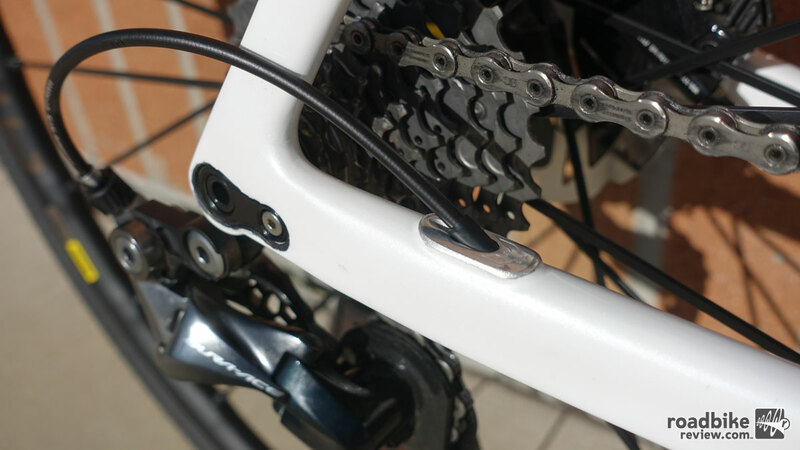 The Alfa All-Road is compatible with both mechanical and electronic groupsets. Internal routing is clean and subtle details like the Allied’s bird of prey logo reveal a high-level attention to detail. As mentioned above, the Alfa All-Road provides clearance for 38mm tires. But that’s only part of the story. 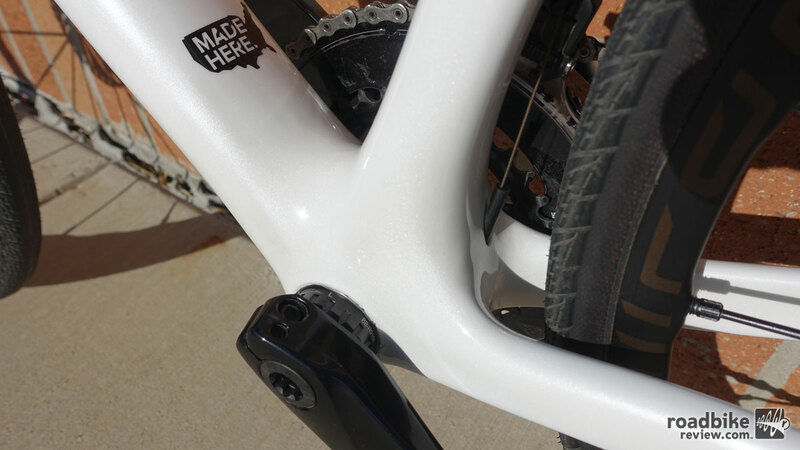 The carbon frame also features a threaded bottom bracket, slick electronic and mechanical drivetrain wire/cable routing, and a standard 27.2mm seatpost. Brakes are attached using the attractive flat mount spec. Holding the wheels on are a 12x100mm front thru axle and a 12x142mm rear thru axle, increasingly the standard for road and gravel disc brake framesets. Both the frame and fork are also compatible with Mavic’s new Speed Release system. When used with a compatible hub, it makes for fast wheel changes. Using high-end Mitsubishi carbon, Allied claims that a 56cm frame in the naked finish weighs in at 920 grams. Our test bike tipped the scales at just over 16 pounds, impressive for a bike with aluminum wheels, bars, stem, and seatpost. Perhaps the most important ingredient in the Alfa All-Road recipe is the fork. With a short axle to crown dimension and big tire clearance, it makes the road bike handling possible. Shown is a 30mm tire. To put this into perspective, ENVE’s Gravel Road Disc fork clears the same size tire, has an offset within one millimeter of the Allied, and is 7mm longer. In fact, the Alfa All-Road fork is only 5mm longer than ENVE’s road disc fork. This isn’t to put down ENVE, simply to show just how tricky the tire clearance to axle-to-crown ratio can be. What Allied has done with its fork is remarkable. The most visually striking element of the Alfa All-Road frame is the seat cluster. Available in 12 sizes (or six different sizes with two head tube length options), riders of all types should find an Alfa that fits them well. Reinforcing the road bike lineage of the Alfa All-Road, the wheelbase for a 56cm is 1007mm. This puts it right between a 56cm Specialized Tarmac (985mm) and a 56cm Salsa Warbird gravel machine (1031 mm). Bottom bracket drop is 69mm. This is keeping with modern road and gravel bikes. Continuing with our comparisons, a Tarmac sits at 72mm while Salsa’s Warbird has a 70mm drop. The dropouts on the Alfa are wonderfully clean thanks to restrained design cues and the flat mount brakes. It is perhaps at the front end of the bike that the Allied shows its intentions most clearly. With 30mm Mavic tires, a 73.3-degree headtube angle, short 375mm fork length, and 48mm of fork offset, the Alfa All-Road’s trail figure is 53mm. The Tarmac with a 25mm tire has 55mm of trail. The Warbird, with a 38mm tire has a trail of 67mm. Put more succinctly, the Allied turns much more like a road bike than a gravel bike. And this is perhaps the biggest key to its “All-Road” designation. Thanks in part to the short fork length, and complimented by its relatively steep headtube angle, the Allied is super flickable, eager to change direction when asked. It likes to be pushed and is highly capable of making mid-corner line changes. Further confirming the road race bike design philosophy, the Alfa All-Road has a stiff bottom bracket. It transmits power ably and shifting is exceptionally crisp thanks to the frame’s rigidity. Where the Allied disappointed was in the comfort department. While efficient at transmitting a rider’s effort, the All-Road can feel harsh on bumpy roads. Other gravel and road bikes I’ve ridden do a far better job at isolating the rider from terrain inconsistencies. Larger tires would have helped. I mainly rode the Alfa with 30mm Mavic All-Road tires. But even road bikes such as Trek’s Domane feel just as efficient when pedaling, but manage to soften blows better than the Allied even with 25mm tires. 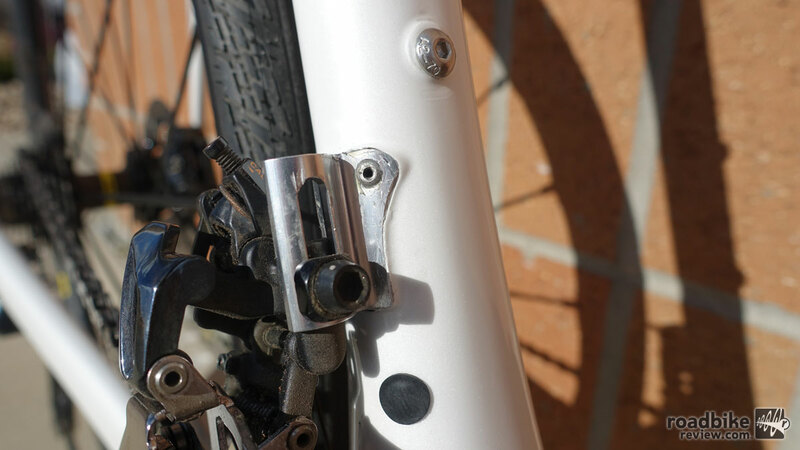 On the blemish frame we reviewed, the front derailleur hanger was scratched and messy. Allied assured us that customer frames are cleaner. I like the white finish and the Spartan branding on the Alfa All-Road. It doesn’t overwhelm you with logos or flashy graphics. I found out after testing the All-Road that I had been sent a blemished paint model. This was somewhat of a relief as the bike I rode had paint cracks at the bottom bracket and several chips at the rear brake mount. Also disappointing was a clunky front derailleur hanger mount that showed too much epoxy. Allied assured me that a frame like this would never ship to a customer and that if something unfortunate happened in shipping, Allied would quickly refinish the frame. That’s certainly one of the upsides to having paint facilities in house. At first glance, many will see the Alfa All-Road through the lens of gravel cycling, but that would be a mistake. 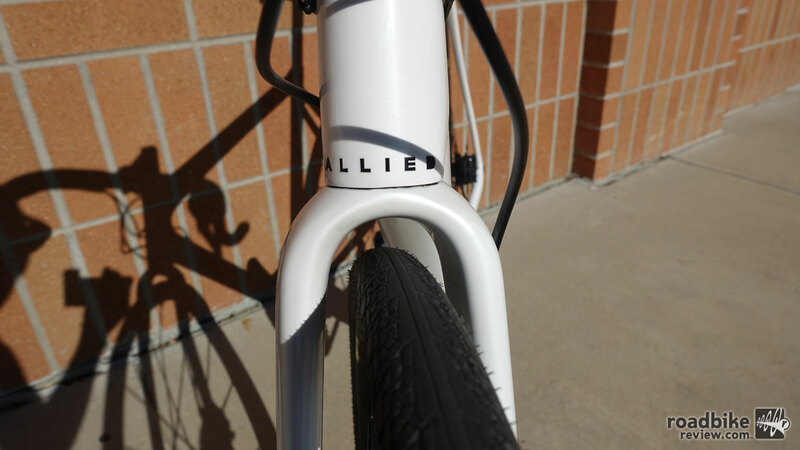 Instead of making a sporty gravel bike, Allied has created a road bike with incredible tire clearances. While that may sound like a splitting of hairs, it is an important distinction. The origin point for the Alfa All-Road is a road riding, not gravel exploration. This is born out of both the geometry selected and the ride quality of the Alfa All-Road. The bird of prey cable management component is removable, making installs easier and improving looks. To that end, Pickman and his Allied team has been successful. The All-Road feels like a road bike, especially when carving pavement corners or sprinting out of the saddle. But be warned: this is not a gravel bike. If days of deep gravel are your idea of a good time, look elsewhere. But if you prefer tarmac and smooth dirt roads, the Alfa All-Road rider is sure to put a grin on your face. The seat post pinch bolt is tucked nicely into the top of the top tube. The dropouts on the Alfa are wonderfully clean, thanks to restrained design cues and the Flat Mount brake. The bird of prey cable management component is removable, simultaneously making installs easier and looking great. The Alfa All-Road is compatible with both mechanical and electronic groupsets. 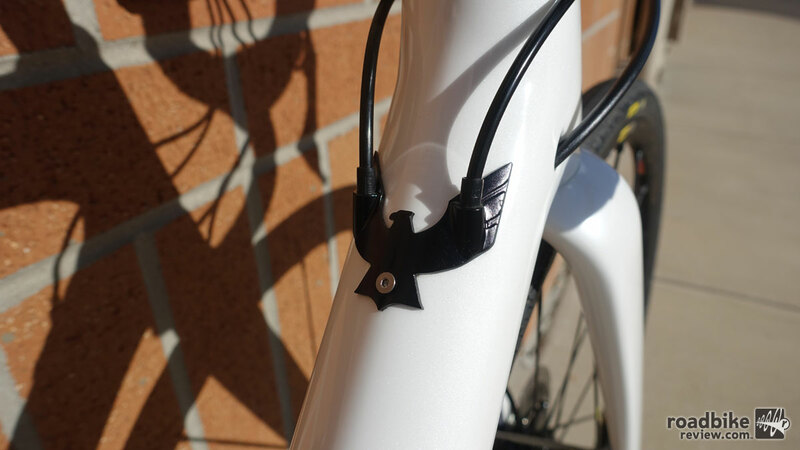 Internal routing is clean and subtle details like the Allied’s bird of prey logo show a high level of detail. Great review Nick, thank you. It’s refreshing to read a review and actually learn something. The thru-axle insert on my allroad fork is not compatible with Mavic’s speed release system (the thread pitch is different).